The Dallas Police Department is seeking the public’s assistance in locating critical missing person, Howard Rowell. Mr. Rowell was last seen at his residence in the 12000 block of Brookmeadow Lane on July 30, 2017. Mr. Rowell left his residence between July 30, 2017 and August 2, 2017. He is driving a 1994 white Buick Park Avenue with Texas license plate HGS7898. The vehicle has damage to the front right quarter panel. 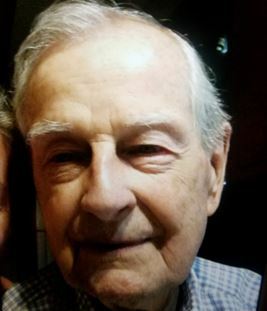 He is described as a 87 year-old White male, 6’1″, 160 lbs with gray hair and green eyes. It is unknown what he was last wearing. If you see this Critical Missing Person, please contact 9-1-1 or the Dallas Police Department at (214) 671-4268.